The goal in establishing the Art Center was to bring people to the town from outside the area so the town and surrounding area might revitalize. At that time the town, like many in our area had been hit hard by the Malls and many of the local shops had closed so a trip to the town found empty building with for sale signs in the window and boarded up store fronts. The Art Center became a catalyst and the local Penn State campus became involved along with a revitalization of the local business organization. Now the town is vibrant and totally different from the other towns in the area. All the stores are filled, businesses and professional offices have established locations in the town, it’s become a model for the area to follow. First, we wanted to give back to a great community, one that had a very positive effect on our family and our company. The way we chose to do this was to establish an attraction that would draw people from other areas, so they could experience the warmth and hospitality of Schuylkill Haven. In the process we believe they will support other business in the area and help our county revitalize. Second, we wanted to create an awareness of the importance of creative expression by showcasing top artists from the region, along with other collections from other areas and countries. Lastly, we wanted to teach and assist all who visit the center so that they may appreciate and understand how art can enrich their lives. Located two blocks from the Schuylkill River, the Walk In Art Center is housed in the former Walkin Shoe Factory, an historic three story factory built in 1887. Though a successful company for decades, the Walkin Shoe Company closed shortly after 2000. In 2002, the empty factory became the property of Evans' Transportation when Mr. Bert Evans purchased the space. His plan was to convert the building to serve as the company's national headquarters, municipal police station and a non-profit food pantry. In 2008, the ground work was laid for the Walk In Art Center, which was to occupy the remaining space in the building. 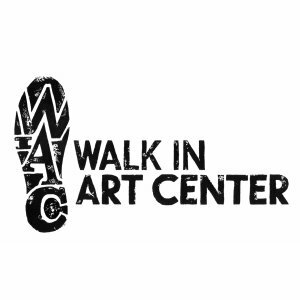 In 2011 the Walk In Art Center obtained 501 (C)(3) Non Profit Status, and began to inspire, equip and celebrate the cultural and creative talent of Schuylkill County. Events - What's Happening At The Center!?! The Walk In Art Center operates off of the generous time and donations given by the community and its members. You can donate to the Walk In Art Center by clicking here. We can always use extra hands at our events, with setup up, clean up or assisting during the event. You may volunteer your time by signing up here. You can also use the pledge button to contact The Walk In Art Center. They will be notified with an email from you!